By now, you’ve probably seen those futuristic-looking LED light masks on Instagram and wondered what all the hype is about. After all, celebrities like Sofia Coppola, Naomi Watts, Karlie Kloss, Jessica Alba and Chrissy Teigen are fans of LED light mask therapy, and the buzz continues to build over the potential of these LED light masks to cure a wide range of skin problems, ranging from acne to fine lines and wrinkles. So do they really work? The answer, quite simply, is yes. A number of studies have been published on the benefits of LED light mask treatments, with the biggest benefits being seen for those who are suffering from acne and severe skin inflammations. One study that caused a big stir when it was released back in 2013 was published in the British Journal of Dermatology. This study showed that clogged pores (such as those caused by whiteheads and blackheads) and inflammation could improve dramatically with a steady treatment of LED (light emitting diode) light over a period of 4 weeks. As clinical trials have shown, there are three primary benefits of LED light mask therapy. Remove acne – Blue LED light is particularly effective at killing acne-causing bacteria. No bacteria, no acne, it’s as simple as that. Decrease inflammation – Red LED light has been shown effective at calming inflammation and speeding up the healing process for skin (mostly by stimulating natural collagen production). Reduce wrinkles and fine lines – Red light is helpful in getting rid of slight skin imperfections, such as wrinkles and fine lines. Also, if your skin is dry or dull, a little LED light can help to brighten and plump up the skin. The one caveat here is that the medical studies that show the link between LED light mask therapy and improved skin appearance are limited to clinical, in-person visits. As of yet, there are no official studies of how in-home LED light masks can lead to better skin appearance. So, while it is possible to order relatively affordable LED light masks online from big, brand name skin care companies like Neutrogena, just be aware that these home LED light masks may not as effective or safe as clinical treatments. A trained medical practitioner can help to choose the right LED light regiment for you and your skincare needs. The two most popular LED lights are blue and red, but there are also possible clinical treatments involving pink and white light. In fact, white light (not available on home LED masks) is thought to be the most powerful, because it can penetrate the deepest in your skin. Imagine being able to fight inflammation at the source, rather than simply coming up with a treatment for the symptoms! 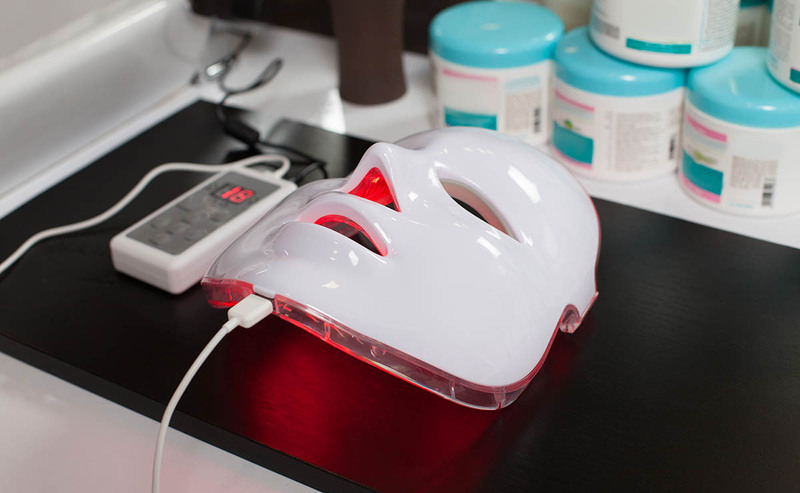 There’s no doubt about it, LED light mask therapy holds the future promise of perfect skin. When LED light is able to penetrate your skin at different depths, it can have a variety of beneficial effects. Just look at all the top celebrities and Instagram influencers who now sing the praises of LED light mask therapy. The best part about this treatment is that it can be combined with regular skincare treatments, such as facials, without any interruption to your regular beauty routine. There are no invasive skin procedures involved, and the side effects just include a slight warming of the face while the LED light is doing its magic. If you’re interested in LED light mask therapy in Essex, a trained medical practitioner is ready to help you reach your skincare goals.